Lakeside Golf Club Camden is still accepting bookings for its popular Business Ladies golf course starting on Tuesday, January 29. The course is a perfect introduction to golf for beginners who want to learn the basics or a great refresher for ladies wanting to return to the game after some time away from it. The course takes place over six weeks, on Tuesday evenings from 5.30pm-7pm, allowing ladies to attend after work and take advantage of the extended daylight savings sunshine. The cost of the program is $120 per person. The course is run by golf pro Jeff Mansfield who has a wealth of knowledge and loves to see new people take up golf or rekindle their passion for the sport. Many previous course attendees have joined the program to give them the skills and opportunity to play golf with their partners on weekends at Lakeside, join local charity golf days to help local cause groups and fundraising efforts, or just meet more local people socially. To book or for more information contact Karenh@westslc.com.au or phone 4634 5650. Applications will soon close for the new Business Scholarship Program that is available to home-based business operators in the Campbelltown Local Government Area. The new program is being run by council in collaboration with the Macarthur Business Development Centre to help take local micro businesses to the next level. The scholarship will provide mentoring, professional support and networking opportunities to optimise the growth of each business. Successful applicants will operate from the Macarthur Development Centre’s Sprout Workplace Centre in Smeaton Grange from March for six months. The application is available on council’s website and must be submitted before Sunday, February 3 at www.campbelltown.nsw.gov.au/scholarship. 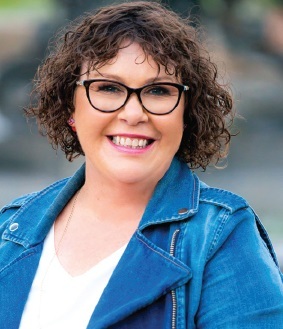 Michelle Pascoe, an international speaker, accredited trainer, author and podcaster will be the guest speaker at the first meeting of 2019 of the Greater Narellan business chamber. Ms Pascoe, who establishing her company in 1994, will talk about her passion for the customer service industry, with a strong focus on mystery shopping and team motivation. With a proven track record and vast experience, Ms Pascoe will look at how businesses can optimise the potential of managing those on the frontline through the professional and personal development of the leadership team. The aim is to deliver a customer service experience that will differentiate your business from your competitors. Ms Pascoe, pictured above, will be speaking at the Wednesday, February 13 meeting of the Narellan business chamber, at Harrington Grove Country club. Contact the chamber for more details.